Issue 27 (Summer/Autumn 2010) of the KAOS newsletter is now available! It gives a review of our successful production of Pirates, and is also full of information about KAOS' plans for fundraising, and our 85 years concert! A copy is saved in the 'Library' of this website - or you can email one of the committee and we will happily email or post you a copy. 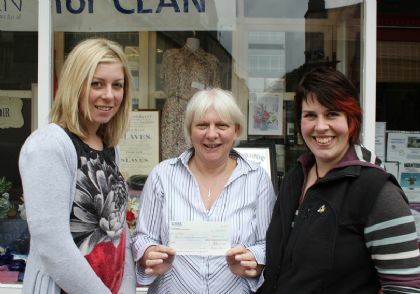 RECENT NEWS - KAOS had such success with our recent production of Pirates of Penzance we were able to donate some of the profits to Orkney CLAN cancer support charity.